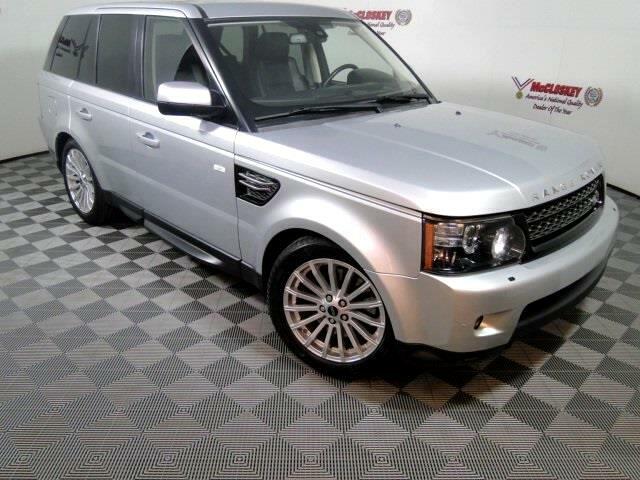 Lowest miles 2012 Land Rover Range Rover Sport HSE in 500 miles! With Navigation System, Power Moon Roof, Harman Kardon Sound System, Heated Leather Seats, Push Button Start, and Backup Camera! HSE models come equipped with 19-inch wheels, an adjustable air suspension, an electronic locking rear differential, foglights, front and rear parking sensors, a rearview camera, heated windshield and rear window, privacy glass, heated and power-folding rearview mirrors, automatic xenon headlights with washers, a sunroof, tri-zone automatic climate control, power-adjustable and heated leather front seats, a power tilt-and-telescoping steering column, keyless entry/ignition, a heated steering wheel and interior wood trim. Also standard are navigation, Bluetooth and a 14-speaker Harman Kardon surround-sound audio system with USB/iPod/auxiliary audio ports and HD radio.